Dr. Andres de Cardenas and his staff of caring and concerned dental specialists would like to share some information with you that can aid in caring for your teeth at home. 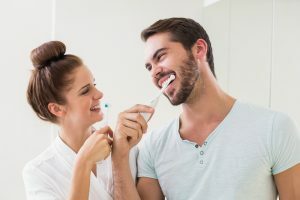 The single most important step that one can take in improve tooth and gum condition, as well as overall health, is a regiment of dental home care. Brushing and Flossing is a Must! Two of the most common aspects of proper total dental care are flossing and brushing teeth. Though it may seem like this is common knowledge, we frequently see patients that these basic tenants of at home dental practices are lost upon. Use a soft bristled brush and gentle strokes while brushing. Clean all the surfaces of your teeth including the back. Gently brush your tongue to remove bacteria that causes bad breath. Development of good dental health habits is the best way to prevent tooth decay and gum disease from your own home. The best dental plans are meaningless unless the work is put in from home. Eating a balanced, mouth-healthy diet, and regular teeth cleaning can help you keep your smile in good shape for a long time. Though there are many easy to use products available for teeth whitening from the home, you may find that they may not be the solution you were hoping. Whitening toothpaste types have ingredients to remove stains with gentle brushing, but some people have a tendency to get sensitive teeth through continued use of these products. 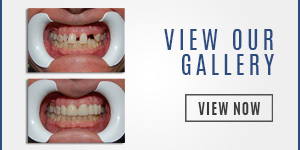 Gel strips are an increasingly popular teeth whitening product. They are placed on your teeth once a day for up to two hours. Some gel strips may need to be worn for 10 to 20 days. Whitening trays are filled with a gel that can be placed over the teeth. Though this whitening method will certainly brighten up your chompers, in-home kits are a one size fits all type method, so they are more likely to rub and irritate the gums. It is always recommended to consult a dental professional before beginning any whitening treatment. If your teeth and gums are in excellent condition, then it may be prudent to consider an in-home whitening treatment. A consultation with Dr. Andres de Cardenas can provide you with the proper information on the best course of action for your unique dental care. As Dr. de Cardenas notes, flossing is the forgotten or less favored of at home dental practices, but could not possibly be more a more important part of dental healthcare. Flossing removes plaque from between the teeth and gum line where periodontal disease often begins. In some respects, flossing is more important than brushing, as brushing cannot reach buildup between the teeth. Unlike brushing, flossing techniques are better for some individuals than for others. Dr. de Cardenas always recommends a personal consultation to determine the best set of flossing practices and products to meet your individual needs. Dental home care is a great start towards great dental health, but it is only the first step. 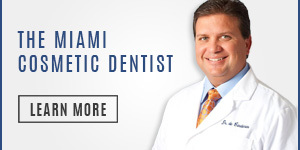 Miami’s Dr. Andres de Cardenas invites you and your family to take the additional steps towards preeminent dental health with him and his staff. For more information, contact our office and one of our specialists will get right back to you. 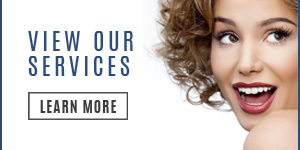 Speak with Dr. de Cardenas about what you can do at home to maintain the best possible dental health. Make an appointment with Dr. de Cardenas, and experience the difference between being treated as a patient, and being treated as a member of our family.